Starlink: Battle for Atlas, the latest toys-to-life game on the market, won't get any new physical toys in the future. For those of you who enjoyed collecting the physical toys with Starlink: Battle for Atlas, it looks like the ones you have are all that's coming. Ubisoft has announced that there will be no new Starlink figures releasing, so the ones you already got are the last wave we'll see. While there is new content coming for the game this month, the toys won't be accompanying the release for the Spring update or in the future. RIP, Starlink: Battle for Atlas toys. "With the announcement of new content arriving this April, we felt that it is important to provide an update on the topic of physical toys. 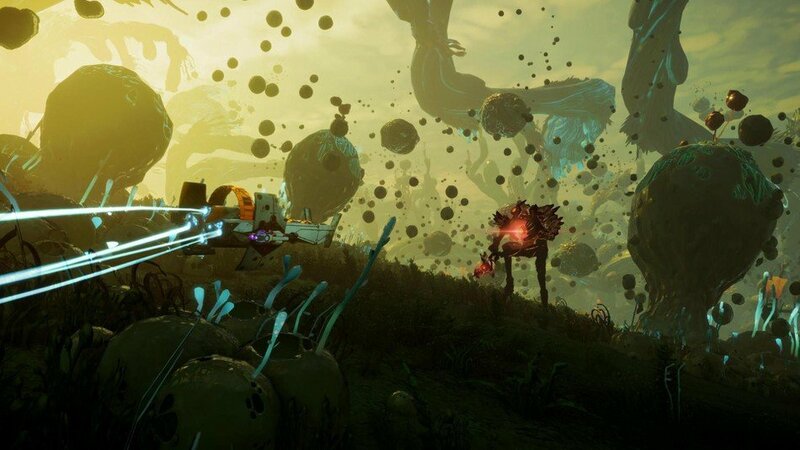 Starlink: Battle for Atlas has been a passion project for us from the start, and we are incredibly proud of the modular Starship technology we have developed, and how well players have responded to it," the announcement post read. "Despite the immense and continuous support from our players, the sales for Starlink: Battle for Atlas fell below expectations. Consequently, we recently made the decision to not release any additional physical toys for the Spring update and in the future." The team is currently working on its "biggest update to the game so far," however, and is looking to offer free content to expand the game, like new missions, challenges, and other activities such as Outlaw Racing. So this isn't the end of the game or anything like it, but you won't see any fun ships releasing in the future. It makes sense, because every time yours truly visited Target, the clearance shelves were overflowing with Starlink ships, each that felt a little too expensive in the first place. "Regardless of whether or not players choose to buy into physical ships and components, Starlink: Battle for Atlas serves as a fine action adventure video game. The graphics are great, flying feels smooth and effortless, and combat and exploration are delightful, both on-planet and off. The underwhelming mission variety and tremendous amount of customization options may put some players off, but the ones who stick with with the title will be treated to a polished space-based shooter with enough content to keep them busy for the foreseeable future." The game is available now, and you can still find toys in store to purchase if you're looking to start a collection. ... then what's the point? It's a pretty fun game on its own. As much as I dig the toys, once the novelty wears off it's kind of a pain to have to swap stuff out all the time. Pretty much this, I bought the Digital Deluxe version and am much happier with that then I would have been with a slew of toys. My bro, on the other had, has little kids that love them so they'll miss it.